I only blog when it’s important. 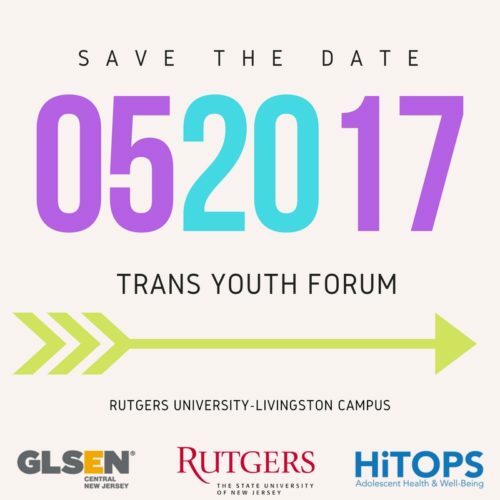 In this case, I want to give a shout-out to everyone who contributed books to 2nd NJ Trans Youth Forum: Cris Beam, Francesca Lia Block, Kirstin Cronn-Mills, Amy Fabrikant, Donna Gephart, Alex Gino, Rachel Gold, Susan Kuklin, David Levithan, Jennifer Laughran, Everett Maroon, R.I. Merey, Ami Polonsky, Pat Schmatz, Ellen Wittlinger and Jennie Wood. Their generous contributions are the foundation of the HiTOPS Trans Lit Library. 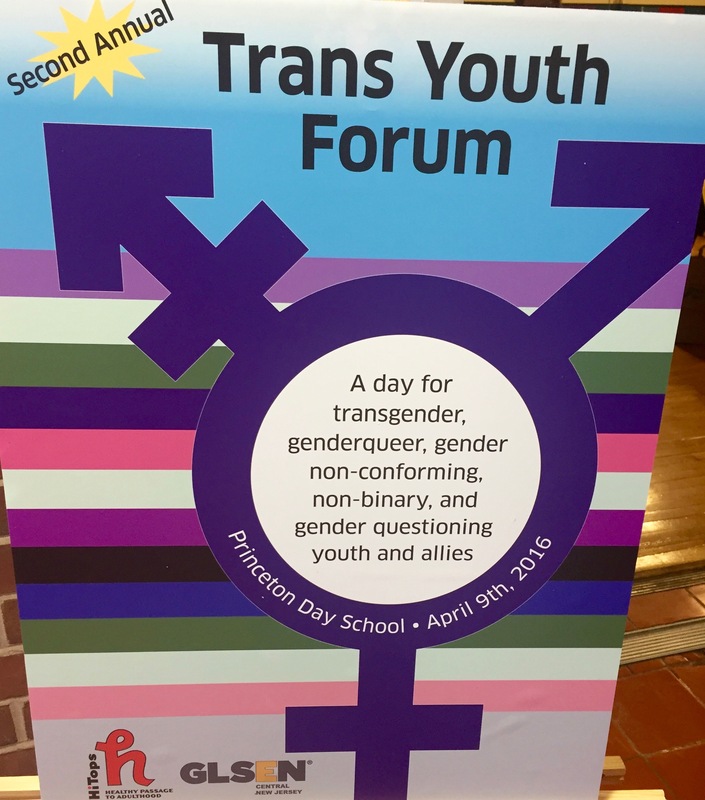 The 2nd NJ Trans Youth Fourm maxed out on 200 pre-registrants a week before the event and had many, many more walk-ins. Overall, we more than doubled the number of attendees from last year. The whole day was a smashing success and I’m proud to say that the Trans Lit Storytime workshop was a particular favorite. When we broke for quiet reading periods, I swear there wasn’t a sound but the tick-tock of the clock. Not a lit up screen in the entire room. Just open books and mesmerized readers. The high school senior asking, “Where has this book been all my life?” after I read the opening chapter of PARROTFISH. The friends gleefully clutching free copies of A BOY LIKE ME, I AM J and BEAUTIFUL MUSIC FOR UGLY CHILDREN to their chests and promising to swap them when they were done. The educator declaring BEYOND MAGENTA should be required reading for anyone working with youth. 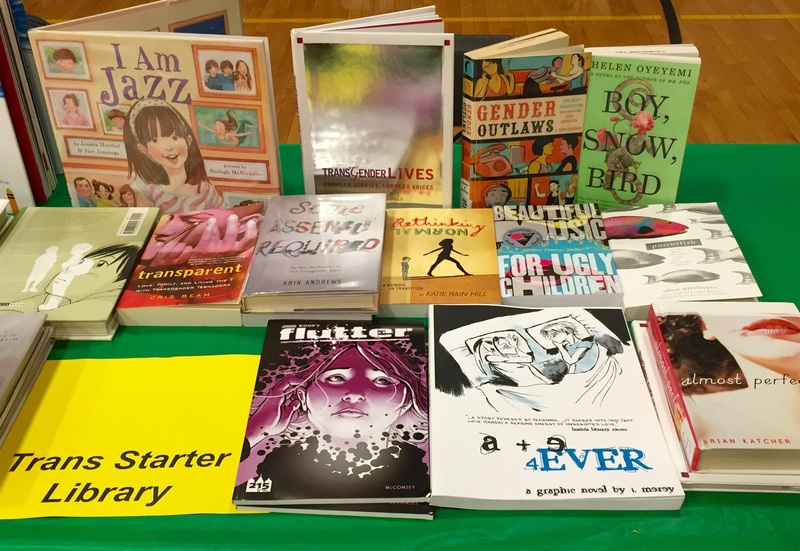 The GSA advisor breaking out into a jig over FLUTTER and a + e 4ever because they are perfect for the graphic novel lovers in her group. The fan of “the weird stuff” geeking out over LIZARD RADIO and LOVE IN A TIME OF GLOBAL WARMING. The mother wishing she had WHEN KAYLA WAS KYLE at the time of her daughter’s coming out. The 10-year-old with a trans sister running off to tell his parents about GEORGE, GRACEFULLY GRAYSON and LILY & DUNKIN. The genderqueer teen greeting me with a huge hug of gratitude because I’d given them a copy of JUST GIRLS at the GSA* Forum last fall. As Katie Rain Hill, trans activist and author of RETHINKING NORMAL, said in her powerful keynote address, “Everyone knows the feeling of otherness.” Readers of all ages can find comfort in characters and stories that reflect or represent their own experiences. 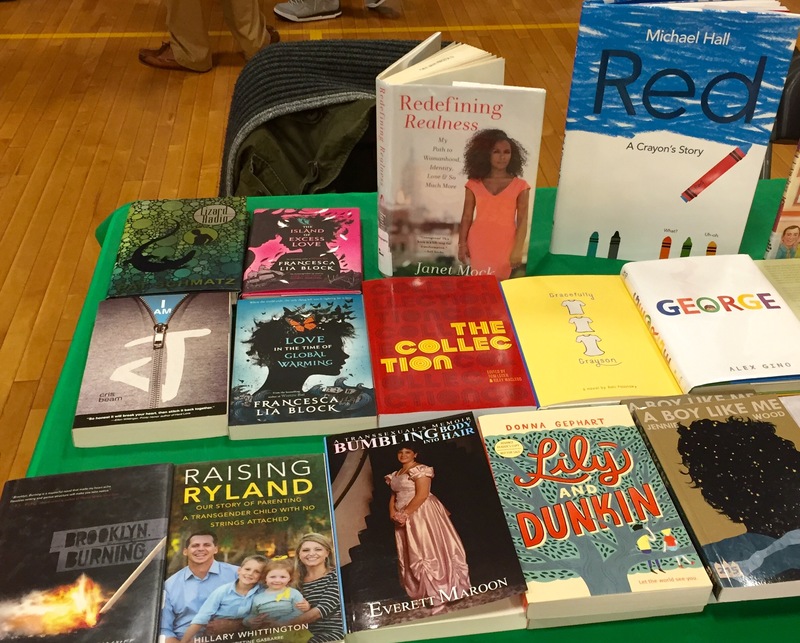 That’s why I volunteer my time–to share these vitally important books with the trans youth so desperately in need of validation and support.